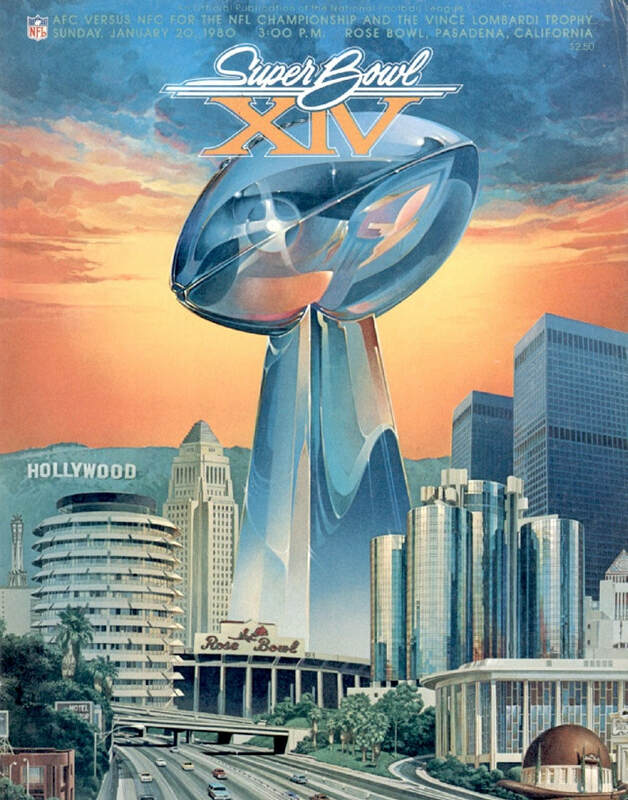 In the sunny dreamland of California, the Pittsburgh Steelers solidified their status as the team of the seventies, as they bagged their fourth Super Bowl victory in six seasons, including two back-to-back wins. Their win over the surprise Los Angeles Rams was far from a walkover, however, with the Rams entering the final period in front, 19-17, before Pittsburgh finally claimed the contest. 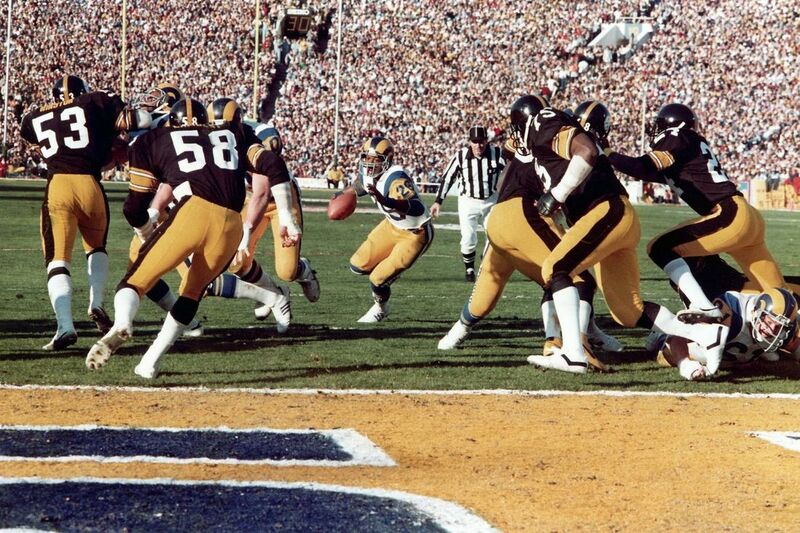 ​In fact, the Rams had arguably had the better of the contest for huge parts of the first forty-five game minutes. 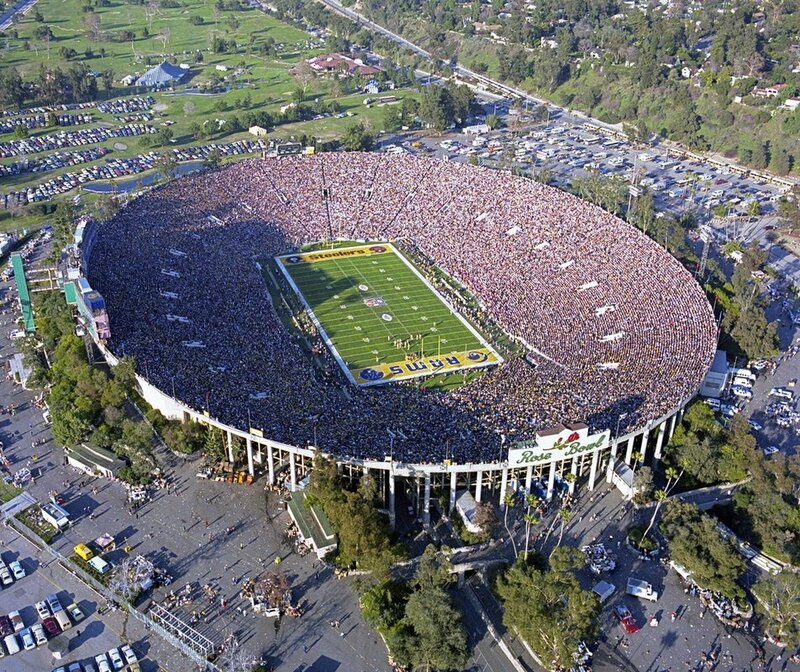 After the Steelers took the lead off the back of a 41-yard field goal from Matt Bahr, the Rams answered with a drive that ended with a Cullen Bryant 1-yard touchdown plunge to give Los Angeles a 7-3 advantage. 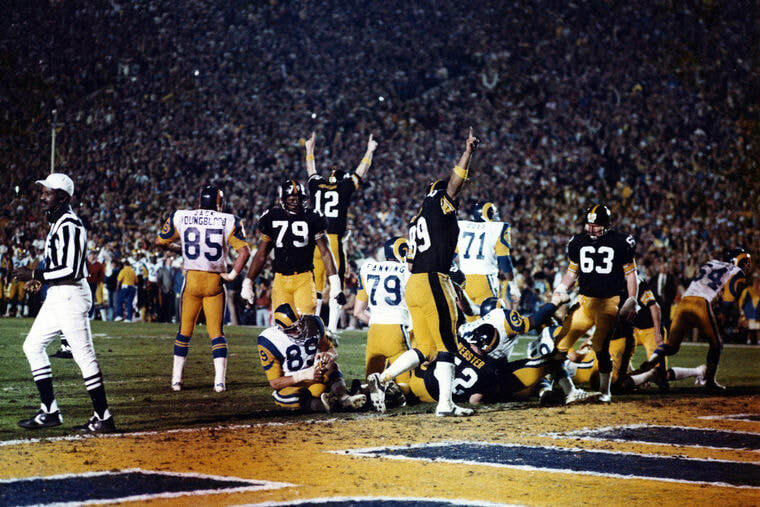 Incidentally, the rushing touchdown was the first allowed by the Steelers defense in a Super Bowl game. Pittsburgh took the lead back early in the second period, as Franco Harris rumbled over the goal-line making the score 10-7 Steelers. Before halftime, however, the Los Angeles Rams had booted through two field goals to lead 13-10 at the break. Pittsburgh looked much more like their dominant selves in the opening minutes of the third period, with Terry Bradshaw hitting receiver, Lynn Swann, with a 47-yard bomb for a score, and another lead for the Steelers, 17-13. However, the Rams would use a trick play to take the lead back when running back Lawrence McCutcheon, after taking a hand-ff from Rams' quarterback, Vince Ferragamo, lobbed the ball to Ron Smith for the score. The extra point was missed, however, but the lead was still with Los Angeles, 19-17. 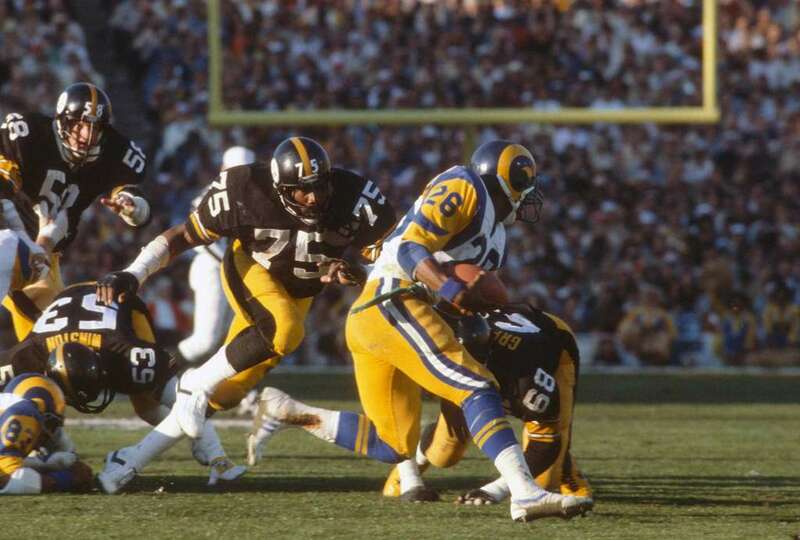 The final period though would see the Steelers return to form, with scoring plays from receiver John Stallworth and running back Franco Harris making the final score 31-19. The Steelers defense finally proved too much for the Rams, who could not answer the apparent late knock out blows of Pittsburgh. Steelers' quarterback, Terry Bradshaw, took away his second straight Super Bowl MVP award. Super Bowl XIII would be the only game where Pittsburgh Steelers' Hall of Fame quarterback, Terry Bradshaw, would throw 4 touchdown passes in a single game. The contest between the Dallas Cowboys and the Pittsburgh Steelers was the first time in Super Bowl history where two teams that had previously met in the Super Bowl, would meet again in the big game. 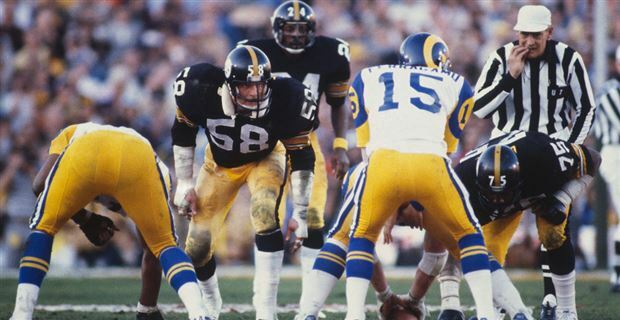 Los Angeles Rams' defensive lineman, Jack Youngblood, played Super Bowl XIV with a broken leg - an injury he had suffered several weeks earlier.